Most people who struggle with mental or emotional issues as an adult can trace it back to something that happened to them as children. Childhood is a formative time, and the experiences you have when you are young shape much of your personality and outlook on the world for the rest of your life. If you are trying to work through anxiety, depression or any other kind of emotional struggle, looking to the past and revisiting your childhood is the key to healing and moving forward. You may not even realize that a childhood event or sequence of events has led to your current suffering. 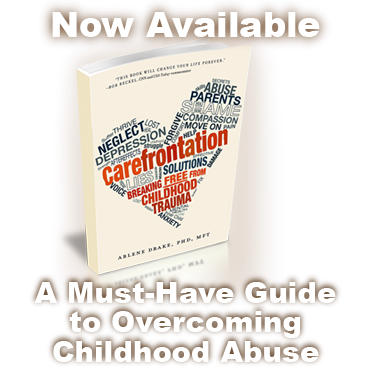 An emotionally absent parent, an abusive family member or even just really mean classmates or friends can leave us with trauma and emotional scars that we carry well into adulthood. You subconsciously carry those experiences and the lessons you learned from them with you, which can lead to emotional, mental, physical, and relational issues. When you seek therapy for some of these issues, a therapist will most likely give you some ways to cope with and address your current emotional state. However, a really good therapist should also try to help you pinpoint the root of the problem. Without understanding where an issue comes from or why you feel or behave a certain way, you will never truly be able to heal. Dealing with a problem without looking at its root cause is like putting a bandage on a stab wound — you’ll stem the flow but not fix the problem. Looking back into your childhood to determine what happened to you and explore why you feel a certain way is the key to true healing. Revisiting the pains of the past isn’t easy, and it can take a long time. In the end, though, the relief and healing that it brings makes it all worth it.